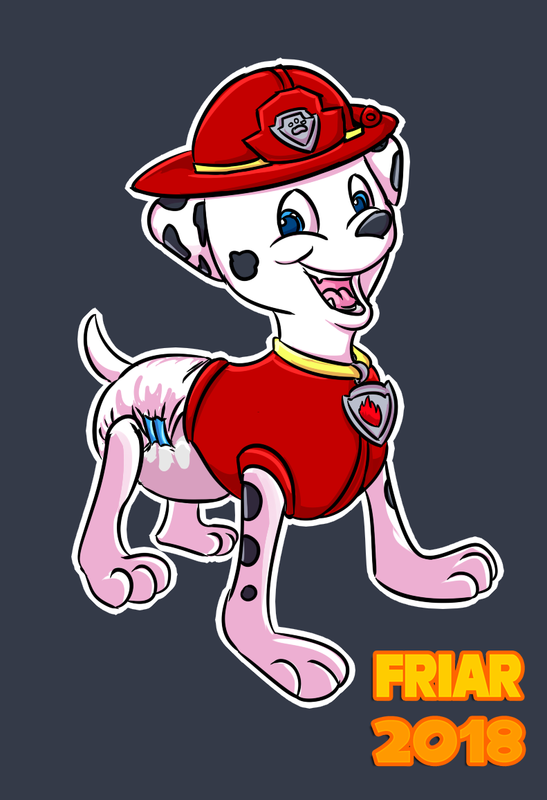 Marshall and Paw Patrol belong to Spin Master. He is my favorite pup! The voice acting makes difficult to define either he is a boy or girl at times. I saw a paw patrol mascot today.